The Holston River is located about 30 minutes north east of Knoxville. The fishery begins at the base of TVA's Cherokee Dam near Jefferson City TN.The trout tailwater extends more than 21 miles downstream. We have three different sections we offer our guided fly fishing trips on, and all three can be very productive destinations for a guided driftboat trip. The Holston is primarily a rainbow trout fishery, but we're starting to see a few more brown trout in the mix. The Holston is a very buggy river and is a caddis fisherman's dream. The late winter and spring dry fly fishing is superb. The Holston River is also a great nymphing river. Countless riffles and shoals provide excellent nymphing lanes, and vanishing indicators are a common occurence. The Holston River boasts a great abundance of fat, healthy fish. They'll often take on a football shape and they fight with a vigor. Make sure to pack the camera on the driftboat because our east Tennessee fly fishing guides love the Holston River "Grip n Grins". Our clients have quickly made the Holston one of their favorite desintations. Our Holston River Fly Fishing Guides have years of experience fishing the Holston, with and without clients. We know the water very well and are always excited to show it off. Click here for our complete Holston River profile page, more informations and maps. 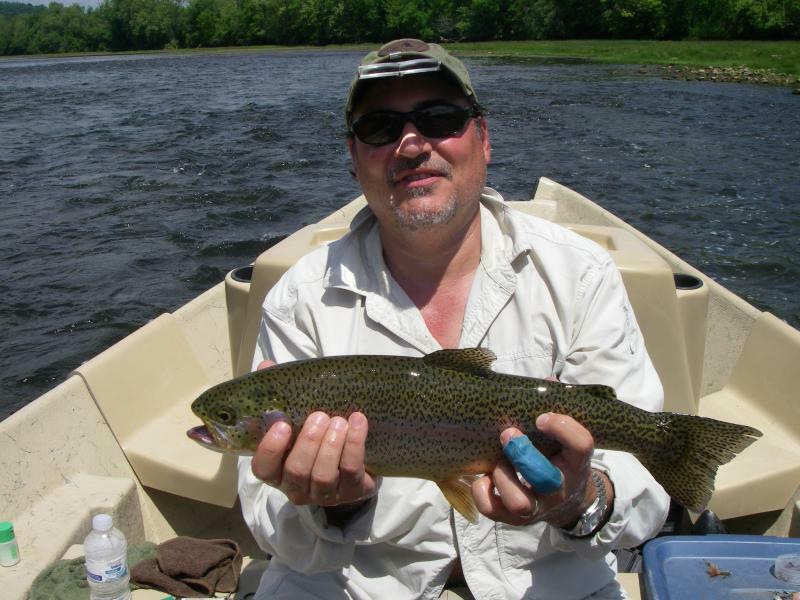 We operate a Holston river fishing service, specializing in guided fly fishing trips for trout. Our Knoxville based guide service is open year round and is a perfect activity to add to any family vacation.